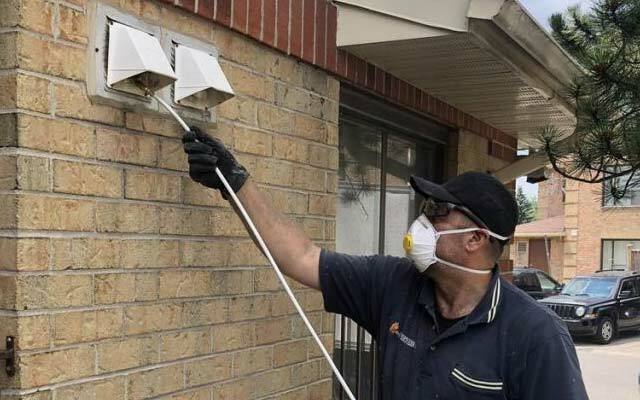 The following blog will provide insight as when it is necessary to hire professional air duct cleaning services Toronto to properly clean your air ducts. As a general rule, most cleaning companies that handle air duct cleaning will recommend that homeowners have their air ducts cleaned at least once a year. Air ducts need to be cleaned at least annually and the greatest amount of time one should go between air duct cleanings is no greater than three years. However, as previously stated yearly duct and vent cleanings are the recommended option. How often duct cleaning is needed relies on many factors. If you are starting to notice things such as rodent droppings, bug or rodent infestation, and more frequent cleaning due to excessive dust and dirt, it is definitely time for professional duct cleaning. If these issues remain unresolved, those who suffer from allergy symptoms might start to experience heightened issues. As well, those with respiratory issues such as asthma may also notice that their breathing issues have worsened. At this point, it is imperative that you have your ducts cleaned as soon as possible. As far as how often should you clean your ducts should preferably be Springtime or Winter. In the Spring, there is a higher instance of pollen in the air which could get trapped in your air ducts. However, in Winter, your home is more closed off so more dirt and debris can get tapped in your vents. This is why semi-annual cleaning before the Winter seasons and during the Spring are beneficial for Toronto area residents. Call Comfort Clean to schedule professional air duct cleaning to promote healthy air quality and clean air ducts for your home!